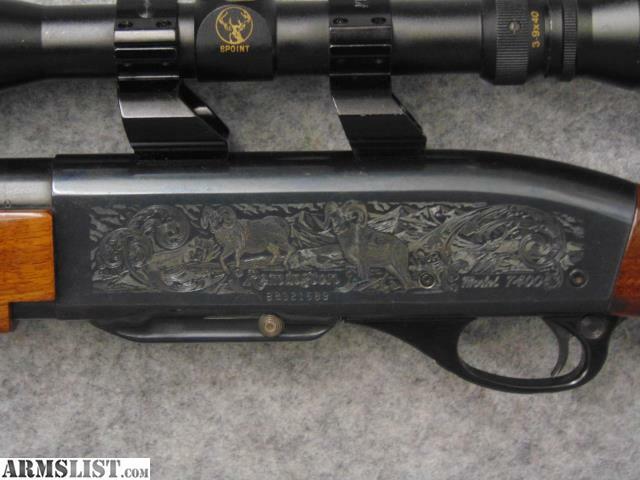 REMINGTON 7400 DELUXE SEMI-AUTOMATIC RIFLE, 308 CAL. This Remington 7400 has checkered walnut stocks, a roll engraved receiver, a simmons 3-9X40 scope, see-thru rings and a detachable magazine. 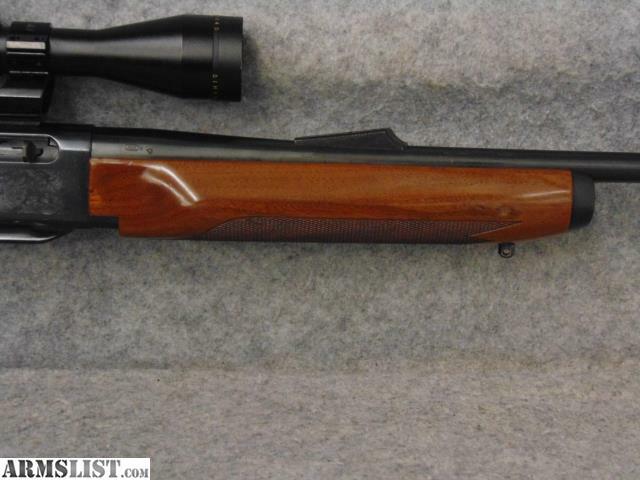 It is chambered in 308 Winchester and is in VERY GOOD OVERALL CONDITION.